(London’s Daily Telegraph) – It was once a job carried out in the dead of night, with its success dependent on secrecy and anonymity as well as a mastery of martial arts and assassination skills. Being a modern-day ninja, however, is not quite so covert an operation, it seems – as reflected in a job advertisement posted by a regional government office which is currently seeking six full-time ninja. The search for professional ninjas has been organised by local government officials in Aichi Prefecture, central Japan, which is aiming to boost tourism by tapping into its ninja heritage. According to an advertisement posted online, the ideal applicants must possess an array of skills – from an ability to dance and perform backward handsprings to a mastery of hurling star-shaped ninja weapons known as shuriken. Those selected for the job will also be happy posing for photographs with tourists while performing at ninja heritage spots across the region and also “enjoy being under the spotlight even though he or she is a secretive ninja,” the advertisement confirms. The deadlines for applications is March 22, with the six successful ninjas receiving a monthly salary of Y180,000 ($1,582) on a one-year contract and starting the job after a month’s training in April. While the ideal candidate will be over 18 and speak Japanese, non-Japanese who are interested in history and tourism – as well as capable of a spot of acrobatics – will also be considered, according to Satoshi Adachi, who works in the prefectural government’s tourism promotion unit. “Our ninjas also have to be good at talking to promote tourism, although ninjas are basically required to be secretive,” he told AFP news agency. They also “have to be able to do backward handsprings and some dance moves,” he added. The antics of Japan’s famous ninjas – the undercover spies who covertly scaled walls and silently assassinated in feudal Japan – are found not only in the pages of history books, but are also immortalised in countless Hollywood films, comics and anime cartoons. More recently, there has been a growing push among officials in Japan to promote the nation’s ninja heritage, with numerous ninja events, museums and performances taking place across the country. 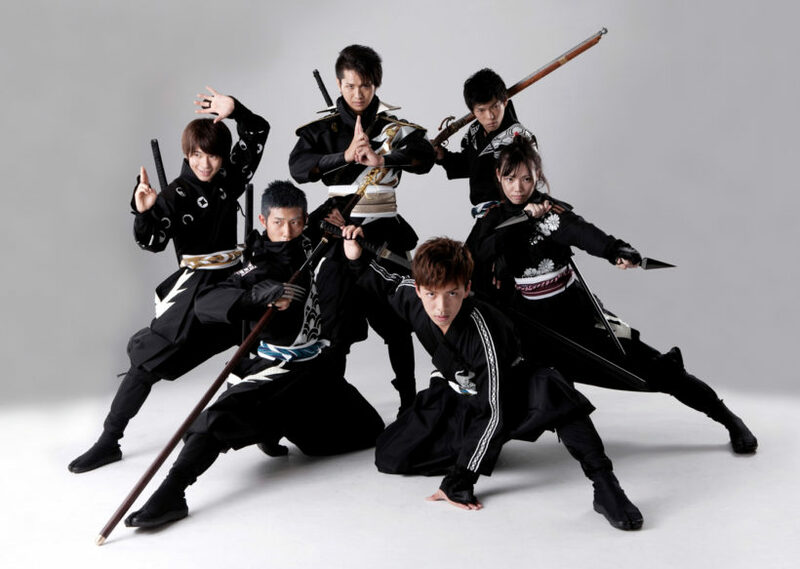 Last October, the first new nationwide organization devoted to all things ninja was created in Japan, in a bid to bolster tourism among overseas visitors in the run-up to the 2020 Tokyo Olympic Games. (The New York Post) – Paris is so filthy that Japanese tour guides have started cleaning the streets themselves. A group of nine guides, funded by the Paris Tourism Association, dispersed throughout the city March 12th to begin their cleaning mission in hopes of bringing more Japanese visitors to town. Their first stop was the Trocadéro gardens near the Eiffel Tower, which they spruced up by planting cherry trees. 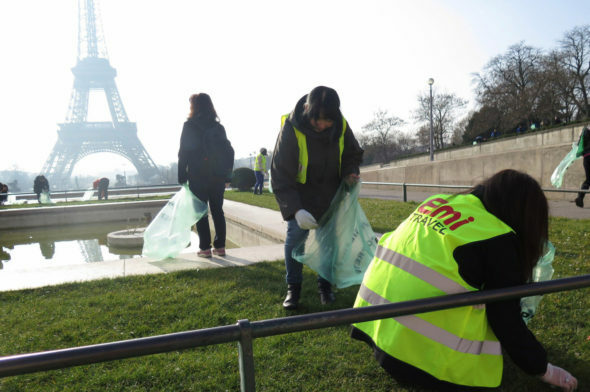 “They say they want to make the city cleaner for their own people, who have very high standards,” a Paris City Hall spokesman told the Mirror. “But in recent years, Paris has actually become one of the cleanest cities in the world,” he insisted. Paris is currently the fifth most popular place for Japanese tourists to visit — the US ranks No. 1 with 1.8 million visitors — with about 600,000 people going each year. Paris Mayor Anne Hidalgo is trying to drum up tourism following the widespread terror attacks last November. (The New York Post) – This lost penguin flipped up his flipper in hopes of hitching a ride back to a Spanish island after wandering off by itself. 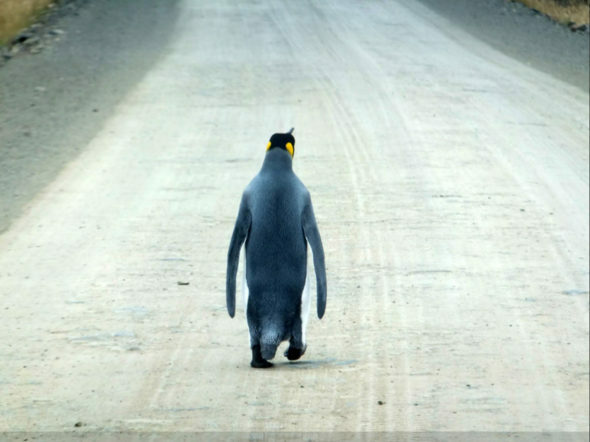 Paul Chapman snapped a few photos of the lone King Penguin after he encountered it waddling toward Teal Inlet in the East Falklands. “It wasn’t bothered or scared by us and just carried on walking back to the nearest town,” the 56-year-old told Caters News Agency. Chapman was headed to a popular fishing spot nearby, which may have been where the penguin was coming from.